So for starters, it’s pretty obvious that the filmmakers are taking a dark approach to Venom’s sci-fi aspects. The whole trailer has a gritty, dramatic flare to it and there’s a special focus on how Venom seems to be physically painful to its host. The government is involved, people are getting hurt, things are crashing and exploding, and it’s generally a mess. Tom Holland’s goofy take on the character of Spider-Man this is not. This could very well be a good thing, though. Beneath the layer of grit that’s present during the trailer is a hint at something more. Based on just this short, two-minute teaser, it can be inferred that the film will have a heart. This is a good sign. Venom is a morally gray character with a lot of depth and psychological complexities, and he can be a hero as much as a villain at times. 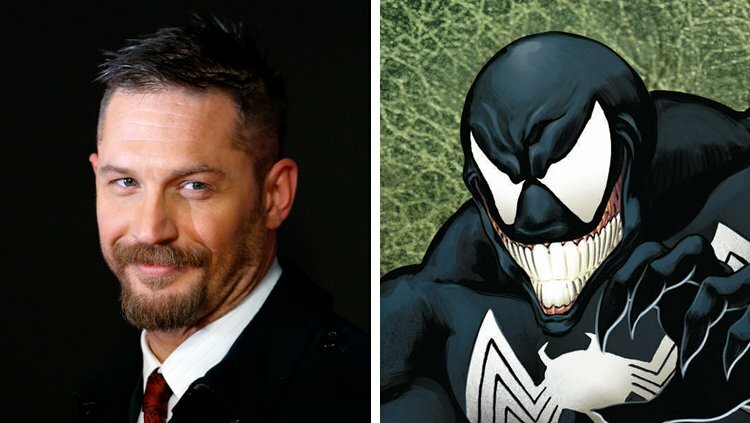 The teaser seems to be taking a sympathetic approach to this, with Tom Hardy’s well-delivered lines hinting that his character is struggling with his new symbiotic powers not only externally, but internally as well. There’s not much to go on but it’s easy to feel for his plight, and the emphasis on abrupt life changes calls to mind the Joker’s struggle to come to terms with his “one bad day” in the famous storyline The Killing Joke. How exactly this will be handled is anyone’s guess, but Hardy’s performance suggests an air of maturity and nuance. Now of course, some people will not care about this at all and will only be looking for hints that this movie is being tied into the MCU. Unfortunately for them, there’s not really anything to go on here. Reports of a Tom Holland Spider-Man cameo have been conflicting, but nothing in the trailer suggests anything concrete either way and so that will continue to remain a mystery for now. Still, there’s good stuff packed into those two minutes, enough to hopefully make people consider that this film may have value even with an unfortunate lack of an MCU connection. We even get our first look at the symbiote itself before becoming attached to its host, and the visual effects are wild. Point being, this teaser trailer hasn’t solidified anything entirely. It couldn’t possibly do that for a full-length movie in just under two minutes. It’s promising though and it answers some questions while provoking more. For a teaser trailer, that means it did its job.